Due to problems with the electricity supply from the provider, Eskom, the water processing plant in Marloth Park is unable to function. They are working on a solution but it could be days. Also, it is possible we'll lose electricity as well over the next few hours. Today is a scorcher, well into the 37C, (99F) range, with high humidity and tonight could be another one of those impossible-to-sleep nights without any relief by taking a shower without the water supply. TIA (this is Africa). It's the way it goes. I won't say, "thank goodness' we're leaving here tomorrow morning at 9:00 am for the hospital for triple bypass surgery. That's not exactly how we feel. Fortunately, we were able to take quick showers this morning using some of the remaining water in the tank. Thank goodness that yesterday, I'd done all the laundry for items to bring to the hospital along with clothes for Tom for the week or more ahead. As I was writing the above few paragraphs the power went out and came back on. about an hour later. Subsequently, with no water and most likely no power we decided to spend the night in Nelspruit instead of heading out tomorrow morning. Now back at the lovely Leaves Lodge and Spa who so kindly, have provided us with a discount for the long term stay, we have power, water, and good aircon. We're set for the night. Tomorrow, we have to check into the hospital by noon to begin the prep for Tuesday's surgery. Somehow, I feel better being in Nelspruit three minutes from the hospital. Now that I know that three of the four main arteries to my heart are 100% blocked, there's a smidgen more peace of mind until tomorrow. Plus, I'm on medication to prevent a heart attack and, I have an ample supply of nitroglycerin in case of an emergency. Wow! Who knew? Now aware of my situation it makes all the sense in the world to me. In the mornings when I'd shower and dress for the day, I found myself feeling tired from these simple tasks. At times, merely walking to the laundry room with an armful of dirty laundry made every step feel as if it were a chore. When we had dinner parties, I found myself wondering how my energy would hold up with all the cooking, prep and serving required for such an event. Now I know and yes, I am grateful but none the less, a little terrified. This is big surgery and I'm not any stronger, braver or tougher than the rest of us. As for the insurance...on the day of the angiogram, at a cost of ZAR 80,000, (US $5871), the insurance company turned us down claiming I had an undisclosed pre-existing condition which was not the case. At the time we applied for the insurance over six years ago, I provided our 20-year family physician's contact information and copies of our medical records as requested including the three prescription medications I was taking (Tom takes no medication), one of which is a low dose hypertensive mediation. The rep at the Nelspruit Mediclinic worked very hard with the insurance company, along with the doctor to no avail. They wouldn't approve the claim before the procedure. As per the hospital requirement, payment must be made in advance of treatment with or without insurance company approval. We paid out of pocket using our debit card since we wanted to avoid using regular credit cards. 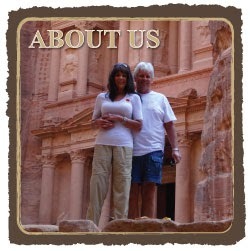 We use credit cards to pay for all living expenses and future travel costs. We didn't want to put such a large charge onto any of our cards. Once we paid, we began the six-hour wait for our turn for the angiogram. When the doctor discovered the magnitude of the blockages, he knew he couldn't do any stents. The only option was triple bypass surgery. I stayed in the hospital overnight and in the morning before we left the hospital we met with the wonderful billing rep Trudy, to see how much the bypass surgery would cost and, ultimately how much money we'd have to come up with. The estimated cost for the surgery was ZAR 700,000, (US $51,370) including some but not all of the doctor's fees. (We see how that rolls out). With the rejection on the angiogram, we certainly didn't think they consider this added cost and again, we were declined. Our only option was to liquidate assets immediately to ensure we'd have the funds in place by Tuesday morning. The financial institution has a three business day turnaround in releasing funds. We called and spoke to the rep and for the first time in our lives stated, "This is a life-threatening emergency. We need the funds to be available immediately." By midnight Friday, the money was in our account. Whew! In the meantime, Friday night, Kathy and Don, had invited us to dinner at their lovely river view home in Marloth Park with friends Linda and Ken also in attendance. Before we left the house, I decided to call the insurance company one more time as well as write a letter I'd consider one of my better uses of the English language. At this point, we were on pins and needles waiting for the money to come through in time but we had a good evening together with our dear friends while they all fussed over me, more than I'd ever imagined possible. Toward the end of the evening, I checked my phone as I had several times, and there it was...the insurance company instructed me to log into our account to find a letter waiting for us...they approved the bypass surgery! They included a claim form for which we could file for reimbursement for the angiogram. Sharing this news with our friends, as we sat around a bonfire in their garden, only added to our sense of relief. Last night, the six of us went to Jabula Lodge and Restaurant for dinner and once again it was a celebratory occasion in support of my upcoming surgery on Tuesday. They presented me with gifts, hugs, and kisses, as did Dawn and Leon, owners of our favorite restaurant who provided a bottle of champagne and Amarula shots. I enjoyed a glass of champagne while the others tossed down the sweet shot. Again, this morning before we headed to Nelspruit, Kathy, Don, Linda, and Ken stopped by to offer more support and love. How did I ever get so lucky? Couple this with Tom's love and attention and zillions of comments and email messages from our readers, family members, and friends, I couldn't feel more loved. May these warm wishes and prayers result in a positive outcome and I will be the happiest and most grateful person on the planet. The pain and discomfort afterward will pale in comparison to my joy. Thank you everyone... thank you with all of my heart! After all the whale watching trips we'd done on tours these past years, to finally see plenty in Antarctica was a dream come true. For more photos, please click here. We're thinking of you (both) and from the Netherlands we wish you a speedy recovery! Rina and Cees, thank you both so much for thinking of me. Maybe someday we'll meet again in Marloth Park. Speedy recovery and all the best. Esti,thank you kindly for taking the time to comment. Your good wishes mean so much to me. We'll be back to posting good news in no time.